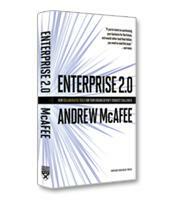 One of the first business books to tackle Web 2.0, McAfee's treatise on the next wave of social technology remains a good read for its overall business arguments. This Featured Book Review is intended for any executive that wants to learn the business applications of the social technology tools that captivate his or her employees and customers alike. There's little doubt that hours are being spent interacting with this technology. McAfee helps executives put them to more profitable use.